Seymour Papert, considered by many to be one of the leading figures in the field of educational technology, outlined what he named “The Eight Big Ideas Behind the Constructionist Learning Laboratory.” This technology-rich center was housed at The Maine Youth Center. The first big idea is learning by doing. Papert says, “We all learn better when learning is part of doing something we find really interesting, and when we learn to make something we really want.” That’s one of the things I like most about teaching and learning with GIS—it is action-oriented by its very nature. One has to sort, select, organize, digitize, add fields, overlay, run spatial statistics, investigate, symbolize, and a myriad of other activities, when using GIS. Take a look at this video of the activity in a typical GIS lab as evidence of the active nature of using this technology. The second big idea is “technology as building material.” Papert says, “If you can use technology to make things you can make a lot more interesting things.” I think of the countless times that educators and students have beamed when pointing at their GIS output—it is a map that they made, and they are rightly proud of it! But they don’t rest there—they are usually soon building on that map to make others, or to apply what they learned to another problem. The third big idea is “hard fun.” “We learn best and we work best if we enjoy what we are doing. But fun and enjoying doesn’t mean “easy.” The best fun is hard fun.” None of us in the GIS education field sugar-coat GIS by saying every part of spatial analysis is easy. It often is quite difficult. 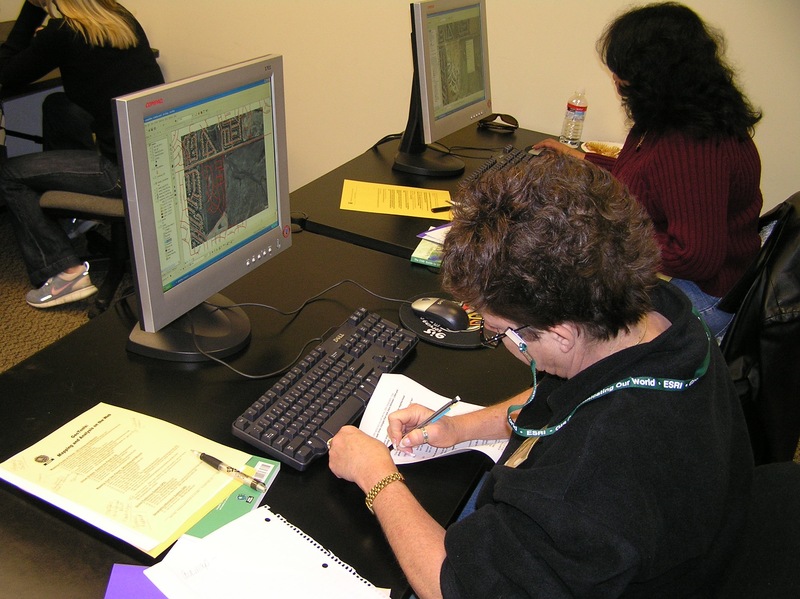 We say to educators, “allow yourself to walk before you run” when learning GIS. That’s one reason the network of people in the GIS field is so important—we need each other to help us through the difficulties of grappling with putting what we want to do into the language that a GIS can understand. I will reflect on the connections to GIS of the rest of Papert’s ideas in my next blog entry. Do you model these ideas in your own GIS instruction?